Just hours after the deadly Sarin strike in Idlib Province on April 4, Direct Relief received an email from Dr. Ahmad Rami Moqdom, logistics manager for the Syrian American Medical Society. The message detailed the heartbreaking attack his group and others had just endured. Moqdom also recounted the loss of a SAMS physician who died when two barrel bombs containing chlorine and other chemical agents were dropped on a hospital on March 25, prior to the April gas attack. “Thank you for your warm feelings. We appreciate your team standing with us during the last few years. I’m sorry to say that one of our team surgeons, Dr. Ali Darwish, died last week when he was performing a surgery on his patient. His hospital in Hama was hit with aircraft bomb carrying chemical agents, most probably phosphoric agent like Sarin. The patient died as well. It was a big loss for all of us,” Moqdom wrote. Darwish was one of the few medical staff in the facility at the time. He lost consciousness in the operating room after refusing to leave a patient’s side. He was evacuated to another hospital for treatment, but died from exposure to a chemical agent, according to SAMS. In the email, Dr. Moqdom emphasized the need to protect doctors from chemical attacks in the future. “Our main concentration is to protect the medical staff who are in direct contact with the injured ones,” he wrote. Health clinics and hospitals have been the target of relentless bombings in Syria, including the very recent Sarin gas attack. At least 86 people were killed, 27 of which were children. A number of those who perished were healthcare workers and first responders who lacked the protective gear needed to survive the attack and continue to treat patients. One study estimates at least 814 healthcare workers were killed in Syria since the conflict began in 2011. “With direct and repeated targeting of medical workers, healthcare facilities, and ambulances, Syria has become the most dangerous place on earth for healthcare providers,” the study’s authors state. Direct Relief has been sending medical aid and supplies to the region, but the supplies requested after last week’s attack were different than requests past. Medicines that stop damage from nerve gas and other poisons: Banned nerve agents like Sarin gas are highly toxic to people and can cause death quickly, even in small doses. Medicines like atropine are used to halt the effects of the poisoning, if they can be administered in time. Personal protective equipment: Disposable coveralls, masks, gloves, and other gear allows healthcare workers to stay safe while treating patients who may have been exposed to toxins. Respiratory aids: Oxygen masks for adults and children were requested, along with nebulizers, which allow medicine to be administered as a mist that can be easily inhaled. 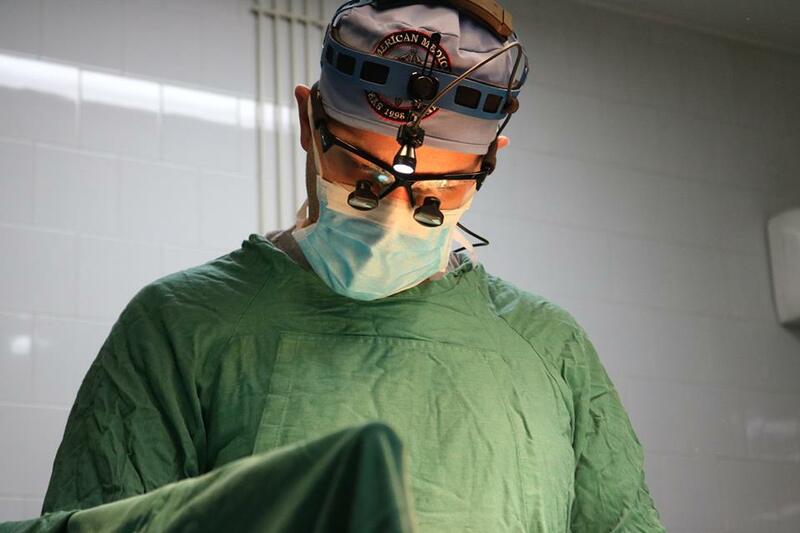 Surgical gear: Basic surgical items have also been requested by doctors, including tubing and catheters. Direct Relief will be coordinating a shipment of these critical, lifesaving items and is actively reaching out for cash support and company donations of medical products. Many of these critical items are low cost. For example, a child’s oxygen mask costs around 75 cents and an adult’s costs 90 cents. SAMS has requested about 1,000 of these masks, about $840 worth of supplies. Other items are similarly low-cost, yet crucial, for doctors and patients on the front lines: disposable gloves (5 cents per pair), disposable protective suits that cover the entire body ($6.25 each) and protective masks (about $1 each). Direct Relief will also be sending the two prescription drugs that work to stop damage from nerve gas attacks, atropine (about $37 per vial) and pralidoxine (about $97 per dose). Direct Relief is coordinating a shipment of these lifesaving items and is seeking donations of financial and material support from individuals and manufacturers. To donate directly to the SAMS effort, visit their Facebook donation page here.